The first Science and Innovation Festival started as an initiative of the educational non-governmental organization SciCo-Science Communication. It took place for the first time in Athens in 2014, under the name Athens Science Festival in cooperation with other organizations and was gradually established as an annual hallmark for the city, a cultural event which is not just about Science but also Technology, Innovation and Art. Athens Science Festival has justifiably been characterized as one of the largest celebrations of science in Greece. Since the first year of its establishment it has hosted more than 5000 scientific partners, 590 speakers, 250 artists, 1400 volunteers and 107.000 visitors. These numbers, coupled with the love and enthusiasm with which the Festival is embraced by the public its year, as well as its role in highlighting important scientific discoveries, technological applications and innovation for the public has led SciCo to create Science Festivals in other cities, including Thessaloniki, Patras, and Limassol Cyprus. This year, in honour of the 30 years since its establishment, the University of Thessaly sought out and succeeded in bringing this cultural event to the citiziens of central Greece, celebrating its birthday with them. The University of Thessaly is one of the youngest universities in Greece. In its 30 years of operation, it has managed to become a major hub of innovation and research, having a decisive role in the development of the central Greece region and leaving its mark in the daily life of its inhabitants. Its creative course highlights all the values represented by the Science and Innovation Festival. It is thus a special occasion to mark the University’s 30 year anniversary with the first Thessaly Science Festival. When looking for suitable spaces to host the first Science and Innovation Festival in Thessaly, the Office of the Deputy Mayor for Culture and Science of the Municipality of Larissa embraced us from the first moment. Sharing the vision, values, and believing in the importance of the Festival for the city, it offered “Mill of Pappas” as the Festival venue, a cultural hub in the center of Larissa which has been a vital part of its history for years. 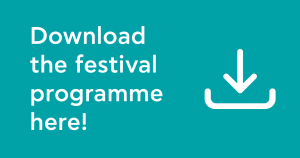 The Thessaly Science Festival aims to highlight the inseparable connection of science and technology with daily life. Its goals include introducing the high-quality research taking place in Greece to the public, offering answers to complex scientific issues, inspiring and creating role-models in the science community, and of course inspiring young people to contemplate a career in science. But, above all, the Festival aims to prove to young and old visitors that science is not just about knowledge, but having fun as well. For three days, the local community and its students will explore science in interactive, innovative and fun ways. At the same time, researchers, established scientists, educators and artists will give us their best effort to explain science and make the audience a part of it. 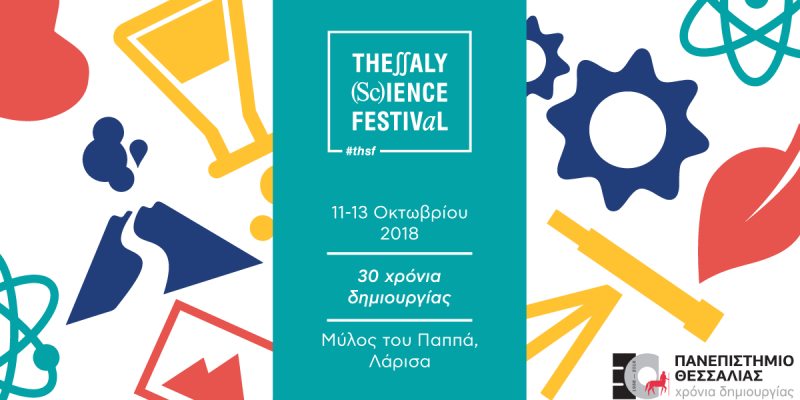 The Thessaly Science Festival is organized by the educational organization “Science Communication-SciCo”, the University of Thessaly, the Office of the Deputy Mayor for Culture and Science of the Municipality of Larissa in cooperation with academic and research institutions and educational organization. The Festival is under the auspices of the Regional Government of Thessaly and the General Secretariat for Research and Technology.